Clara Foley played the character of IvyPepper in the s2 ninth episode and also in s1. But from the looks of it, Gotham season 3 might show the future. The s 2 ended with a tease showing a doppelganger of Bruce Wayne with long hair. Also Gotham’s legendary reporter, Vicki Vale and another DC’s supervillain, Mad Hatter will be joining s3. TVLine also reported that all the villains will get a changeover when it comes to their looks in the new version. They will all have an extreme makeover. At the moment, Gotham’s producers are looking for a redhead who would play the role of old Ivy Pepper. She will surely wreck havoc in season 3 as of the sources said. John Stevens, executive producer of the show spilled some beans on the long haired Bruce Wayne. He said his character will have a new story and it is something we need to look out for. Vicki Vale’s role is played as Valerie. Vicki Vale actually develops feeling towards Bruce Wayne as of the Comics, but here it might not be present as Valarie is in late 20’s and Bruce is 15. Casting for the new character is underway and the next installment is still in progress. So season3 will have redhead Ivy Pepper terrorizing city and more heat to be added with new characters. So are you all ready for season 3? Share your views through comments. 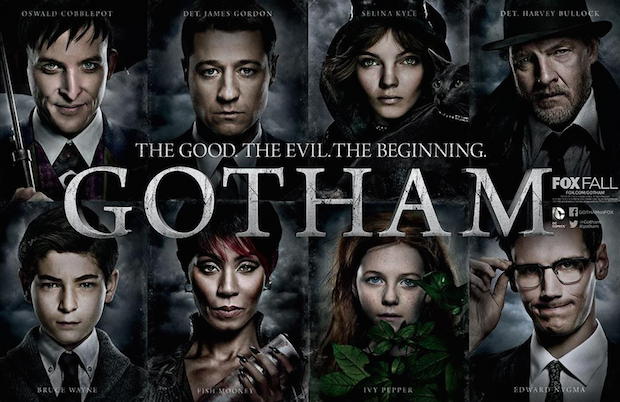 The season 3 Gotham will return to the Fox and let’s wait for the fall for it. Stay tuned for latest Entertainment industry updates.